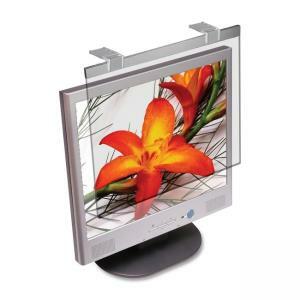 Deluxe antiglare filter protects your delicate LCD surface from scratches and damage. Design eliminates 99 percent of glare and enhances contrast for more comfortable viewing. Optical-quality acrylic is made with a neutral light tint for true color fidelity. Elegant, slim frameless design integrates the filter to look like part of your LCD. Filter fits your 19" to 20" LCD screen.